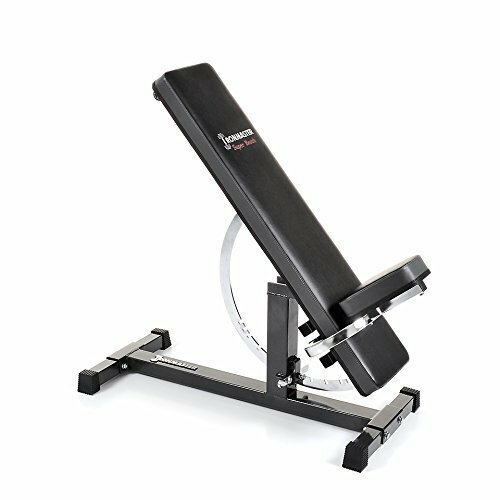 Ironmaster Adjustable Super Bench – Is It Worth Your Money? Today I’ll be reviewing something of commercial quality and that thing is Ironmaster adjustable super bench. This though birdie is made for bodybuilders who either utilize enormous weights or who just prefer the best quality available. I don’t think that Ironmaster needs a special introduction. They have been manufacturing top quality for quite some time now and they continue to do so. The fact that their reputation is practically in skies does say something about their equipment. The entire frame is made of 11 & 12-gauge commercial steel to hold incredible 1000 pounds (600 lb is rated for incline / upright positions). The frame is also powder-coated gray metallic with chrome components. The bench, as the name suggest, is adjustable, offering incline, flat and decline positions in a total number of 11. The specific adjustable degrees are 0, 5, 10, 20, 30, 40, 50, 60, 70, 75, 80 and 85. The system lock uses a unique ring with foot lever that operates from both sides. Heavy-duty cushioned pad with stitched vinyl upholstery comes in 44″x 10″ x 3″ dimensions. The assembled dimensions are 44 x 18.8 x 21 inches (111.8 x 47.8 cm x 53.3) and the weight is 65 lbs (29.5 kg). The bench comes practically pre-assembled. All you have to do is to attach the feet and you are ready to roll. The first thing to notice is the pad. It’s really thick and firm and just from the look you can tell its made from a good quality material. 3 inches thick pad does the job quite well and is also really comfortable on the back. Despite the thickness, it does not cause imbalance. The frame itself is really sturdy and strong, no wobbling at all. The seat of the Ironmaster adjustable super bench is removable and just as thick and comfortable. The 11 different positions are useful for all kinds of exercises and I don’t think there is a need for more. When adjusting the position, you do so by using your foot with the lick and then lift up or down the pad. Several 6’4” + users also mentioned that despite their height the bench suits them just fine. Most of them still had their heads placed on the pad in inclined settings. The bench also comes with optional attachments such as leg extension, preacher curl, hyper-core and sit-up attachment. According to users’ reviews, all the attachments are perfectly sturdy. Most agree that at least sit-up attachment should be purchased as well. 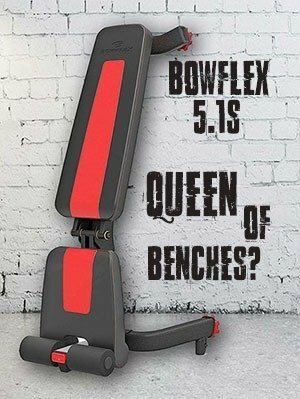 If you do not mind the length of the bench and you are also up for a 3 in thick pads, then Ironmaster adjustable super bench will definitely be a good choice for you. The 10-year warranty speaks for itself and with a number of optional attachments you can utilize tens of different exercises. If you would prefer a cheaper, yet quality bench, I’d suggest checking out my bench guide.